It’s not all about skiing and snowboarding in the Pitztal. Off the slopes, guests can try snowshoeing, ice climbing, enjoy a romantic sleigh ride or go ice skating. The cross-country skiing trail in the valley has 21.7 kilometres for classic skiers and skaters. Just 15 minutes from Hotel Andy, winter sports enthusiasts will find beautiful tracks running through the forest. Cross-country skiing on the glacier? The Pitztal boasts tracks on altitudes of 2,760 metres on the glacier or on 2,250 metres in the ski area Rifflsee. 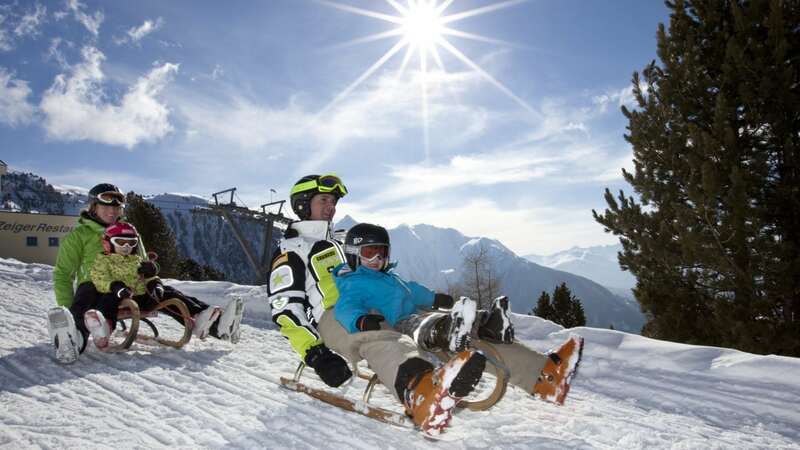 The natural toboggan run Hochzeiger is within walking distance of Hotel Andy. Every Thursday, the toboggan run is open for night tobogganing – weather permitting. Our tip: The cable car Hochzeiger will take you effortlessly up the mountain. 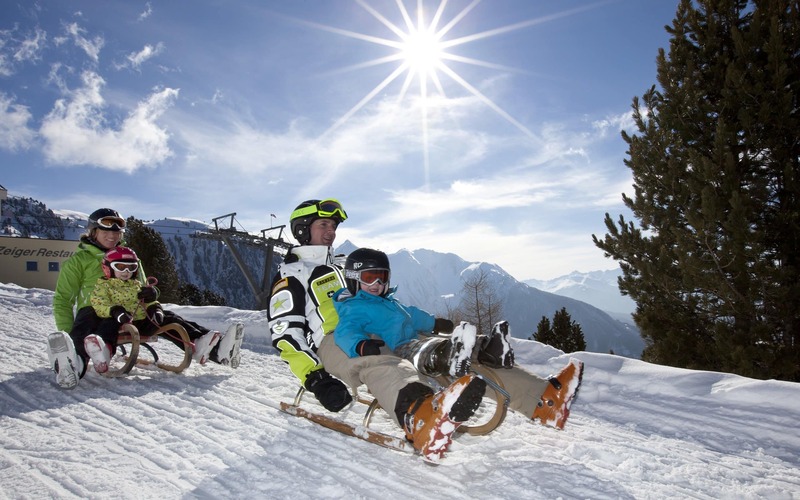 Toboggans are available to hire at sports shops and at the valley station of the Hochzeiger cable car. Numerous well-maintained winter hiking trails invite visitors to explore the wonderful winter scenery on foot. Choose from a variety of trails, for example the Zirbenweg, a village tour through Jerzens, or a climb to the Hochzeigerhaus/Stalderhütte. Our hiking guide Klaus will take you on guided winter hiking tours through the winter wonderland. Enjoy the solitude of winter and explore the pristine winter scenery on snowshoes. Our hiking guide Klaus will accompany you to the most scenic spots in the Pitztal. What could be more romantic than travelling through the beautiful snowscape on a horse-drawn sleigh? Cuddle up beneath a warm blanket as you journey through the snow-covered scenery. Our reception will happily provide more information. The ice rink in Jerzens is available for ice skating or convivial ice stock sports. Ice skates are available to hire on-site. 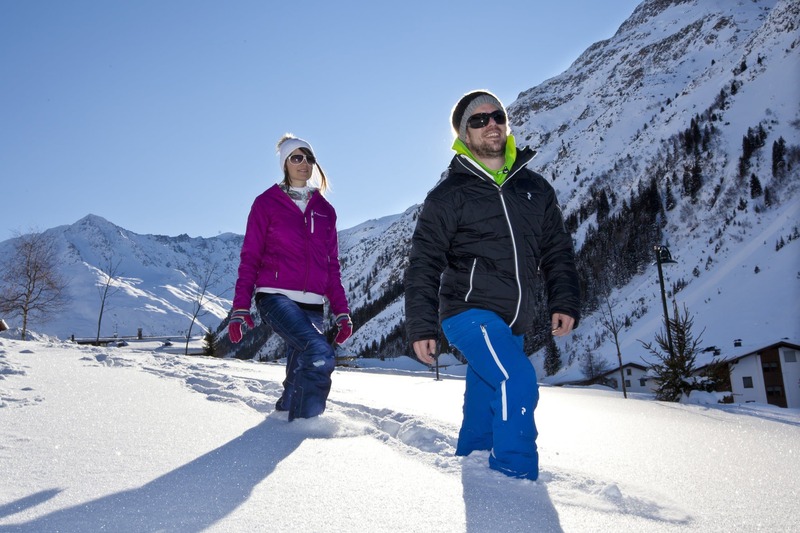 The ice rink and lanes are located near Mountain Camp Pitztal, Niederhof 206, A-6474 Jerzens, Tel. +43.5414.87571.